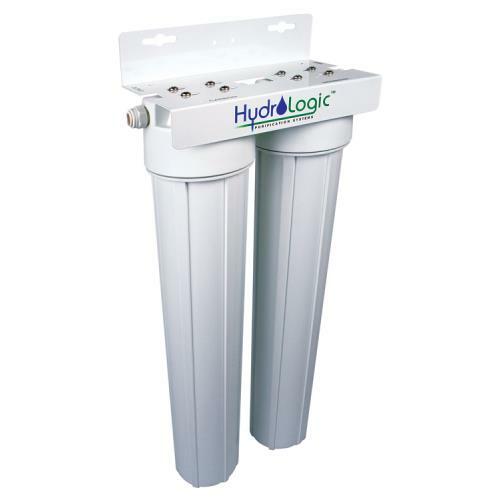 Highly efficient and accurate due to its advanced microprocessor technology. Auto-Off function conserves battery power. The unit shuts off automatically after 20 seconds. 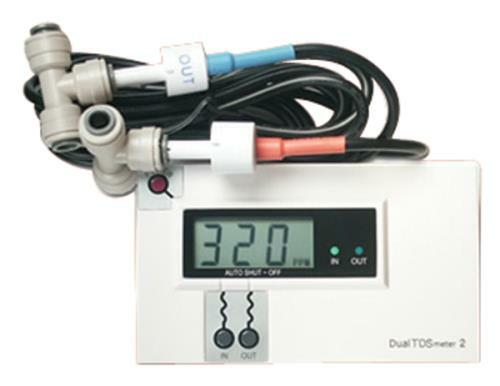 Dual range - measures from 0-999 ppm, with a resolution of 1 ppm. From 1000 to 9990 ppm, the resolution is in 10 ppm increments, indicated by a blinking image. Comes factory calibrated. Comes equipped with 3/8" & 1/2" Quick Connect T-fittings for Evolution RO1000, Pre-Evolution, Merlin Garden Pro or Tall Blue-Merlin for quick install. 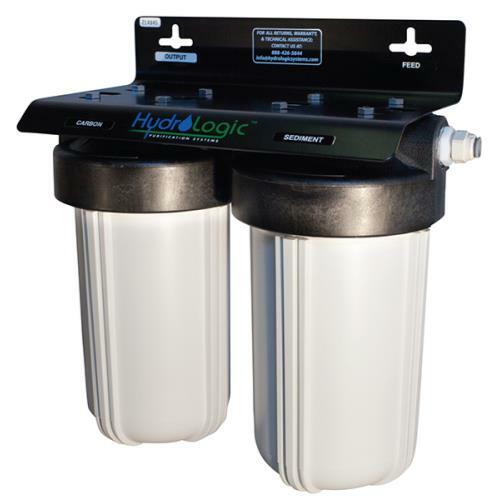 Measure the untreated water coming in vs. the purified water going out of your reverse osmosis system at any time. Limited 3 year warranty.